Hello and welcome to LittleEllieMae's Christmas Advent Day 1! 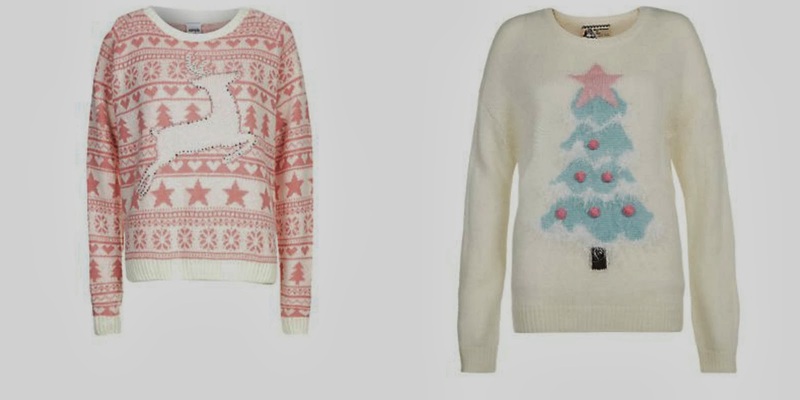 Can we talk about christmas jumpers? Yes, its December now (hooray!) so I'm allowing it. Love them or loathe them, christmas jumpers basically take over every shop imaginable this time of year. 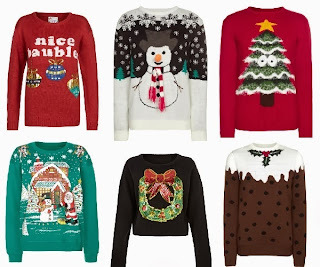 But I have to admit, I do LOVE a good, ugly christmas jumper! They totally go against every fashion rule there is- from massively clashing prints and colours to pom poms and funny motifs. 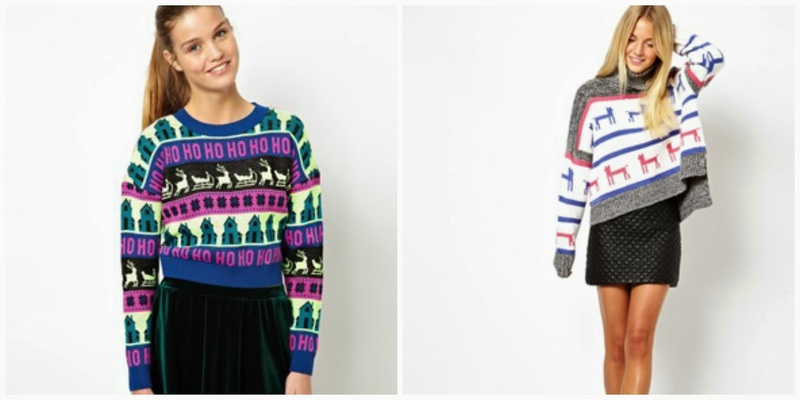 Lets start with the home of christmas jumpers: Primark. Oh Primark, you do put a festive smile on my face every time I walk into your shop. I'm planning to bag myself one of these jumpers this week, now it is December I am allowing myself- and at a super affordable price too! Another firm christmas jumper favourite of mine is New Look. New Look really try to make the traditional jumper look... less gaudy, should I say. I love the pretty, dainty colours. They show that simple is definitely effective! ASOS does it perfectly. The right amount of bagginess, gaudiness and festivity for me! 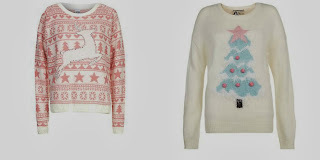 I especially love the cropped jumper on the left, the bright colours are amazing! Thank you little ellie man for this really well and good post also about the Dublin Costume shop. These Christmas jumpsuits are really good and amazing, thank you, hope to get more information on this though.